Illinois HVAC workers can expect to make a decent starting salary and move up with experience. As far as trades, it’s right around the middle for all Illinois incomes. Starting out in HVAC, you can expect to earn about $13.70 an hour, but with growth up to about $36.50 - that works out to $75,780 for the best of the best. 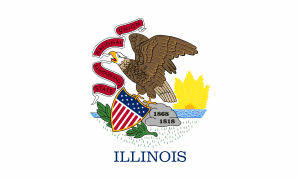 One factor that makes it easier to get into the HVAC trade in Illinois is that work in this area is not licensed by the state. Counties or cities may have their own regulations, but their is no certification, licensing or testing on a statewide basis. Illinois has few statewide licensing requirements. In addition to not having a state HVAC certification, there is no statewide process to license electricians or even contractors. Further regulations can vary by city or county. However, Chicago, as the biggest city in Illinois, follows the state’s lead and does not grant a specific HVAC license. There are licenses available for a supervising electrician and for a Plumbers’ Apprentice and Plumbing Contractor, which may be useful in some cases. The process is administered on behalf of the city by Continental Testing. You will, of course, need to register with the state to run a business. You can register online, or download and register a form at this website. This is primarily for the sake of your state taxes. A business license may be required by local authorities, as well. As you probably know, the Environmental Protection Agency is a federal entity, so its rules are binding in all 50 states. If you work with refrigerants, it is necessary to obtain Section 608 Certification from the EPA. This helps guarantee that these potentially dangerous chemicals are properly handled, sealed and recycled. Illinois has a rather open practice regarding licensing for the trades. On the state level, there is almost nothing that will affect your work as an HVAC technician. Even in the Windy City, there are not many requirements. Be sure to check with your own county or city government to see if there are any differences. Check out more info regarding HVAC schools in Illinois here.